Getting to the heart of intricate, small parts using testing methods that require that the part remain unaltered can be a behemoth of a task. In the case of these small parts, the features within can be extremely complex and layered, making it difficult to accurately obtain dimensional measurements without cutting into the part. This is where CT scanning, also known as Computed Tomography scanning, provides a solution for situations requiring a dimensional testing technique that does not cause damage to the part. 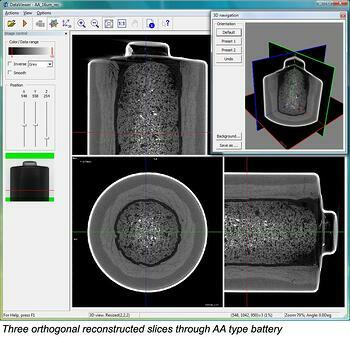 CT scanning does not require any external forces such as pressure or stress to be applied on the part being scanned. Instead, it uses X-ray technology for internal inspection. This method uses an X-ray source to transmit a beam or beams through the part, causing thousands of 2D X-ray images to be captured by the detector panel. Unlike 3D scanning which uses structured light or laser to capture a point cloud, these multiple X-ray images combine to form voxel data. A voxel is a volume element in the form of a pixel or point in 3D space. 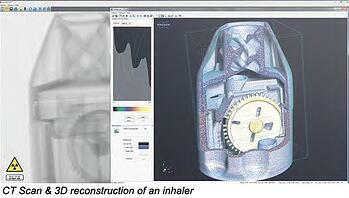 Using software, these images are then reconstructed slice by slice into a 3D model which can be analyzed further. For dimensional measurement purposes, the voxel data is typically converted into a precise point cloud using very specialized purpose-specific software. 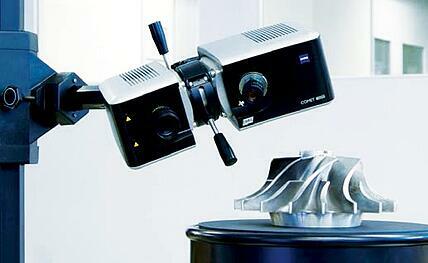 The point cloud can then be post-processed into inspection results or, for reverse engineering, a 3D CAD model. While CT scanning produces highly accurate results without physical damage to the part, it is not an ideal testing method for every type of part. 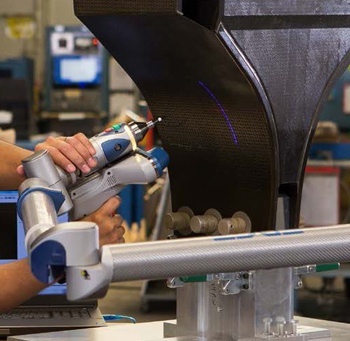 Parts that are very large, or are made of high density materials, or have very flat dimensions provide a challenge when scanned using this method. 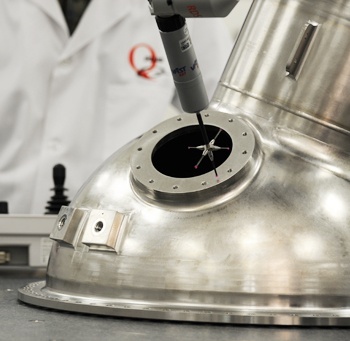 At Q-PLUS Labs, we specialize in finding the right measurement solution for your application. 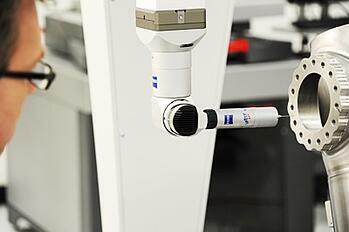 Sometimes that involves an array of equipment to provide the most accurate measurements for a part. We are uniquely equipped as an ISO 9001 registered and ISO 17025 accredited dimensional measurement lab and provide the finest in inspection, measurement, and metrology engineering expertise. Contact us for assistance with your dimensional measurement needs, CT scanning questions, or to request a quote.